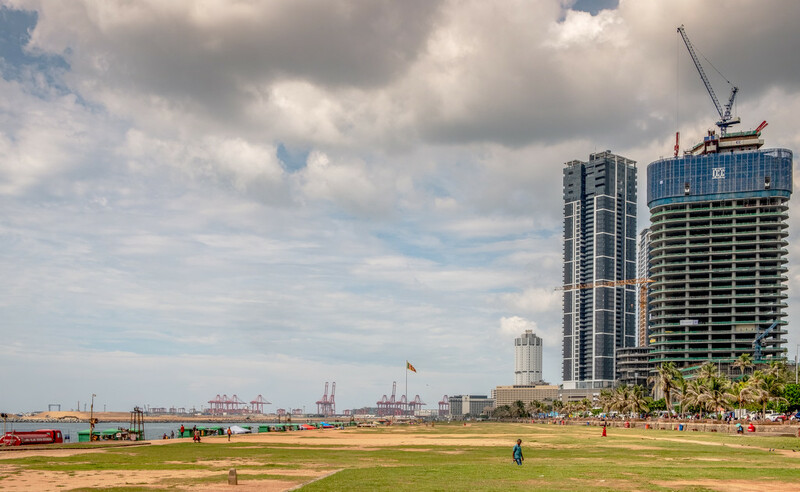 View from the veranda of the Galle Face hotel in Colombo. It’s nice to have the green there to give a bit more of a spacious feeling. @dide Only a small part of the original green still remains. It used to be a very large area. I love the contrast between the modern buildings on the right and the lowlands/beach to the left. @taffy Colombo is a city of contrasts. I have a ripper to post tomorrow. Very much like the perspective. Just been reading that Wikipedia link. So much used to happen on this area of green! Amazing. Shame it has shrunk but 12 acres is still pretty sizeable. Seems like a lot of things mixed together- hotel, shipyard, a green that's not maintained and a beach! Great shot. Do all cities have to look the same? @casablanca Yes, for a major city to keep that much public space is pretty good in my opinion. @haskar Seems like it. Depressing isn't it?